WordPress is a free and open source content management system (CMS) which makes updating your website easy!. If you can use Email or Microsoft Word then WordPress is all you need to maintain a professional, high quality presence on the web. It has many features including a plug-in architecture and a template system which make adding new content quick and easy. WordPress is used by over 16.7% of Alexa Internet’s “top 1 million” websites. 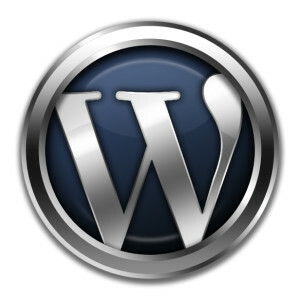 WordPress is currently the most popular Content Management System in use on the Internet. WordPress’ web template system allows you to change the design of your website quickly and easily. There are thousands of cost effective themes available. This means you don’t have to spend a fortune to have a highly functional, professional looking website. And, with over 10,000 plugins available, you can quickly and easily add all kinds of functionality to your website such as social media sharing, slideshows, eCommerce and much more. The most important element of WordPress is Search Engine Optimization (SEO). WordPress websites tend to be updated more frequently and structured very well compared to static websites. Google loves WordPress sites and has gone on record as recommending WordPress for business sites. View our portfolio or contact our St. Louis team of professionals to learn more about creating a new or converting your existing website to WordPress.